World of concrete exhibition at pragati maidan, New delhi. Representatives of Manomav engineers pvt ltd. 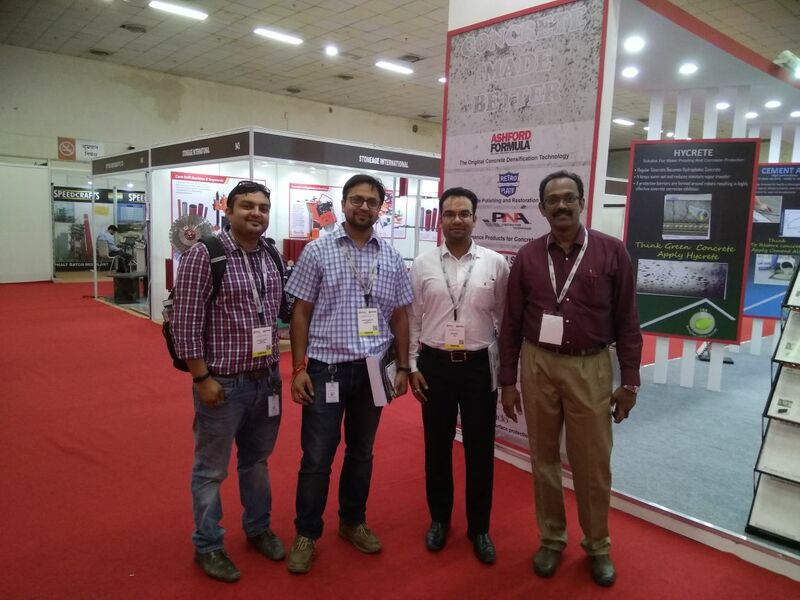 Visited the exhibition to understand latest technology involved in various construction material. Exhibition hall were closer from gate no.10 of pragati maidan and was having a registration desk at entry. Around 50 exhibitors have displayed their products from different categories which include engineering, software, equipment, concrete institute, chemicals and testing laboratories.